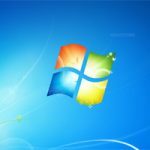 Windows 7 is nearing the end of its long life-cycle and support is set to end on 14th January 2020. If you’re running a machine with Windows 7 it’s probably more than a few years old so it wouldn’t be advisable to upgrade to Windows 10 due to hardware compatibility issues. Even so it could still be considered a useful machine after January 2020 as it will continue to store your files, documents and photos etc but keep in mind its age and ensure you back everything up just in case it fails to function one day. More importantly if you do want to continue using it after the above date it would be best to keep it offline to avoid security vulnerabilities. If you would like help preparing for January 2020 or advice on purchasing a new computer give me a call on 01452 506529 or drop me a line via my contact page.